Kesari 4th day (Sunday) collection early trends, there is jump but it's limited! Kesari is registering growth on Sunday (4th day) at box office as early trends for the day is coming in. However, jump is only limited not that big. As film is coming of holiday (partial holiday), we still don't know the exact trend and only after Monday will have an idea. 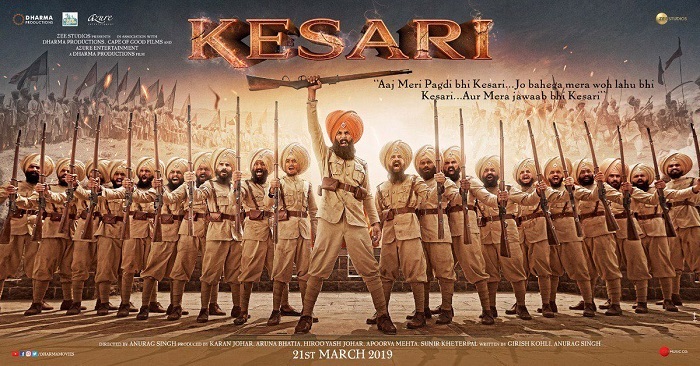 Kesari has opened to 40-45% occupancy in morning shows. Film opening is better than all previous days. Film did pick up in noon time, but again growth is not that huge. It is good only. Film did show some drop from evening onward and as per latest registering an occupancy of 60%. Overall jump from Saturday is around 8-10%. Early trend suggest, Kesari fourth day collection is heading towards 20-21 crore nett mark. These are early estimates from limited samples. Still few shows are left for the day. Also major reports for the day is awaited. Final count for the day will be higher or lower depending on these mentioned factors. Kesari extended first weekend total is heading towards a good 76-77 crore nett mark. Weekend job is done and it is upto the weekdays now and that will determine where film is heading in long run. Kia na thugs of hindostan ko aamir ne. Ekdum par hi kar dia. Ammitab ka bhi naam duba dia. Bilkul par hi kar dia. Amir christmas k time kar sakta tha IPL k time nehi. Amir ne 1st day opening k liye thugs of hindustan ka date chng karwaya tha ar ticket price badhane ko kaha tha. Not upto the mark. 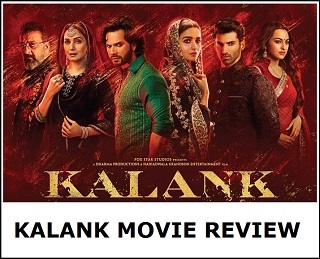 It should have collected 90 crores in extended weekend. This is unlike Akshay's 'take your family and watch it' Films. The limited growth was expected. Tum flop ya film flop ? Kuch Bhi bolo..150Cr to iske Liye dream he reh jayenge.. Worst situation for us will be when Avengers End Game will release in couple of weeks. THAT film can take biggest opening of this year. So bollywood please make meaningful cinema.You just distort history as per your convince. This FILM is far from reality which you can realise as soon as you come out. 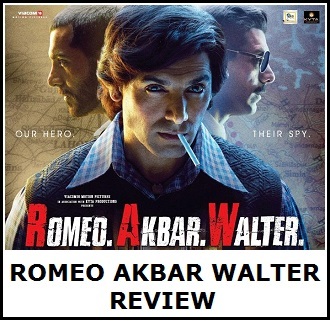 Bravery and intelligence of team of two dozen worriors has been sacrificed for the stardom of Akshay Kumar. ITS PAINFUL. Ab Muslim ko blame karega..bc gold, padman aur bakisab kaiko nahin chali fir..usme kaun hara tha..tujh jaise gattarsaap ka kaam Hai sirf gandagi faylana..
Akshay's movies somehow struggle to make big even after good word of mouth. Sooryavanshi might be his best bet. Har film hit de rha h aur kya jaan loge bachhe ki. Unknown who are you, are you politician ? Don't talk about religion, everyone watching all actor's movie. Padmavat bhi sab ne dekhi thee Hindu, Muslim, Sikh, Isai (Christian), so please don't spread hatred . Hindu, Muslim, Sikh Aur Isaai (Christian) sab aapas mein bhai bhai hai, we are not politician, Sirf NETA loga Vote haasil karney ke liye Hindu Muslim Ko Aapas mein ladwaatey hai aur kuch log un jhootey netao ke behkaawe mein aajaatey hai, kabhi dhyaan diya hai in netao ko yeh sab Election se pehley he kyun yaad aata hai aur election nahi hota hai tab inke mooh band kyun rehtey hai, grow up guys and don't fight over religion and even don't fight over Actors, they all are ours. So be cool and enjoy whatever you like and ignore which you don't like, Sirf isi liye kisi ko criticize karna ke hum usko pasand nahi kartey is not a good for health, because aisa karney se humarey andar negativity aajati hai, Criticize karo par in good manner aur kisi ko uski galati sudhaarney ki niyat se karo ke woh insaan dobara aisi galati na karey.